The Sacred Cenote, referred to as “Cenote Sagrado” is the largest sinkhole of the two found in Chichen Itza, with a 60 meters diameter and escape proof walls that are 22 meters high. It’s also famous because of its sheer size and the fact that it is not for drinking. The Maya people are believed to have used this sinkhole for rituals, sacrifices and worship, with human and sacrificial objects being thrown in as a form of worship to the rain god of Chaac. 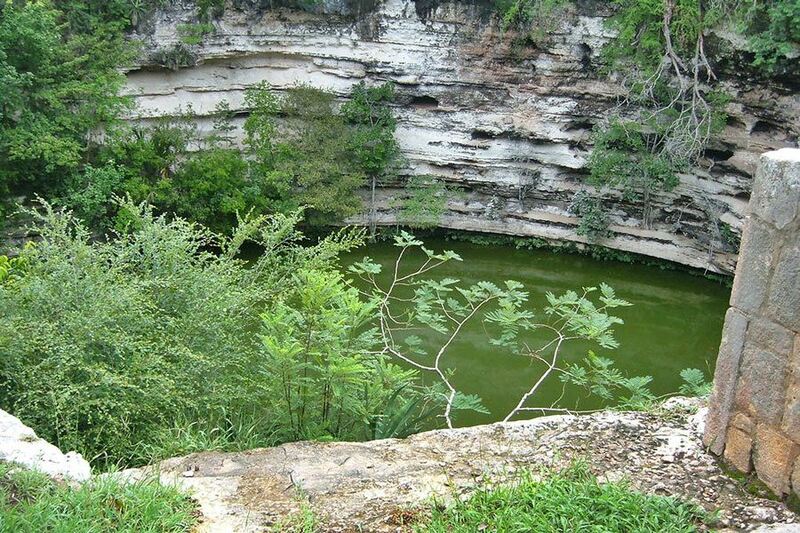 In the Northern Yucatan, which is an arid area, there are no above ground rivers and the only natural water sources are these sinkholes called cenotes. Some cenotes are small while others are quite large, like the Cenote Sagrado. This sacred cenote was not created by the Mayans of Chichen Itza, but was formed naturally by an underground river system that still continues to foster the Yucatan peninsula’s tropical growth. However, it is believed that some alteration was done to make it circular in shape. 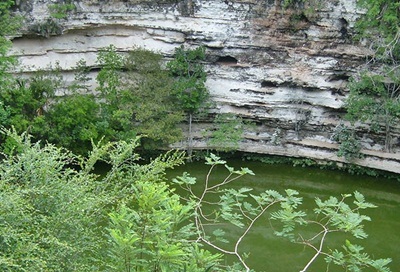 Found in a depression, with dense vegetation that cuts out most of the air, Cenote Sagrado buzzes with insects all day. This brings out a hypnotic effect, which one can easily imagine and associate as a place for human sacrifice, including infants. On the cenote’s edge are some remains of what is, seemingly, a temple. This is because it resembles some of the temples found in Topoxte in Guatemala. This, together with the human skeletons and the items excavated, further confirms the use of this cenote as a place for sacrifice and ceremonies. Being a named a wonder of the world, and also a UNESCO world heritage site with an immense cultural significance, Chichen Itza is a good place to visit, with the sacred cenote being one of the main attractions to be experienced.